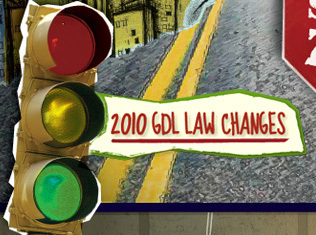 When you are age 18, the DMV will issue you a senior license (Class D or Class M). If you have a valid junior license (Class DJ or MJ) you will automatically receive your senior license in the mail. If you pass your road test when you are age 18 you will automatically receive a senior license. If you are age 17, you are eligible for a senior driver license if you have a junior driver license or limited junior driver license and have completed a state-approved high school or college driver education course. To change your junior license to a senior license, bring your junior license and the form MV-285 driver education certificate that you received from your instructor to any motor vehicle office. You must give the DMV office your certificate and junior license to receive a senior license. If you do not change your junior license to a senior license, you still must obey the restrictions for junior drivers until you are age 18, even if you carry the completion certificate with you. 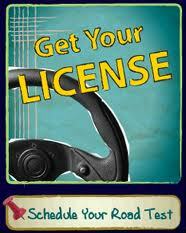 With a senior license you are allowed to drive without any restrictions. If you are under age 21 when arrested, your permit, license, or driving privileges will be revoked for at least one year if you are convicted of any alcohol- or drug-related driving violation. You will also be revoked if a judges finds that you refused to submit to a chemical test (includes a test under the NYS "Zero Tolerance Law"). These penalties apply even if you are adjudicated as a youthful offender, or if you were arrested or convicted in another state.